The Dorchester Collection has confirmed that 45 Park Lane, sitting opposite the grand hotel of the same ownership, is scheduled to launch in September this year following a soft opening period in August. 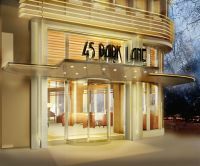 45 Park Lane will offer 45 contemporary rooms and suites all with views of Hyde Park, and a further penthouse suite with panoramic views across London. The small number of rooms will allow for an unprecedented level of guest service, with a 24-hour host team offering a dedicated point of contact for guests, managing all requirements from arrival to departure. This superior level of guest interaction will enable the hosts to deliver bespoke services. The opening of the new property follows the September 2010 launch of Coworth Park country house hotel and spa in Ascot, Berkshire. Guests at Dorchester Collection’s hotels in the UK will enjoy the ease of seamless bill signing privileges when using any of the three hotels’ outlets. 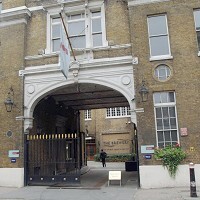 The Dorchester Park Lane is part of the group. On Wednesday of last week, two press releases arrived in the AERBT office, virtually simultaneously, from Airbus and Boeing, both claiming legal victories. The only real winners were the aviation lawyers. In two separate findings the World Trade Organisation (WTO), the referee, found firstly that the US defence budget could not be used as a vehicle to subsidise the civilian aerospace industry and Boeing must repay US$5.3bn of illegal subsidy. Secondly, the WTO partly overturned an earlier ruling that European Governments' launch aid constituted unfair subsidy. Part of the US$18bn in low interest loans received would have to be repaid eventually but no pressure was applied regarding a date. Airbus Chief Executive, Tom Enders, said that Airbus could and would continue to partner with governments to build its aircraft. "We now can and will continue this kind of partnership on future development programmes." However, it is clear that low interest rates are from the past. The WTO still has to rule on an appeal on a separate report earlier this year that found Boeing had benefited from at least US$5.3bn in US subsidies. 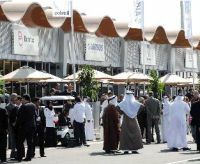 Farnborough International (FIL) and the Bahrain Civil Aviation Affairs Directorate have confirmed that the second Bahrain International Airshow (BIAS) will take place 19-21 January 2012 at the Sakhir Air Base, which adjoins the Formula One Grand Prix circuit. 75% of chalet space has already been sold. Amongst the latest companies to join the existing list of participants are BAE Systems, Bell Helicopter, Boeing, GE Aviation, as well as Bahrain-based Comlux Middle East. 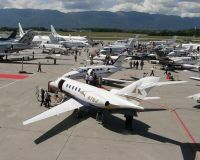 European (and Middle East) executive aviation types met at Geneva last week for the 11th annual EBACE show. Housed at the impressive Palexpo complex adjoining the terminal, visitors could also walk straight onto the apron where display aircraft competed for visits from prospective buyers, operators and users. 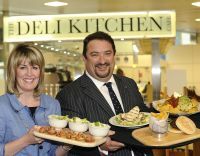 A stylish new £1.5m food hall and contemporary café bar has opened its doors at the BAA operated Glasgow Airport. The new development, which cost £1.5m has transformed the airport’s landside food and beverage area, with bars and restaurants that would not look out of place in a busy city centre. The refurbished units are located on the first floor of the main terminal – opposite the entrance to security search, and on the ground floor international arrivals hall. They seat around 324 and 78 customers respectively. 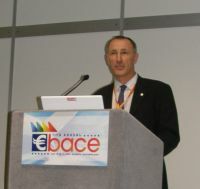 As previewed in last week's AERBT Philip Dykes of the UK Department for Transport Aviation Directorate said at EBACE (see above) that general aviation movements would be allowed in a restricted zone around London during the 2012 Olympics. From 13 July 2012 to 12 September 2012 flights would only be allowed for aircraft if they could comply with a set of requirements defined by aircraft type. Other than scheduled services, operations into a central area are prohibited. Mr Dyke said that slots would be bookable from autumn of this year and that early reservation was essential. “People will be disappointed if they don’t get in quickly,” he said. Estimates are that there will be 700 extra charter operations during the Olympic period and 10,000 GA movements. 240 State flights are anticipated. Whilst a number of small aerodromes are in the restricted zone no problems are envisaged with club and light aircraft movements. 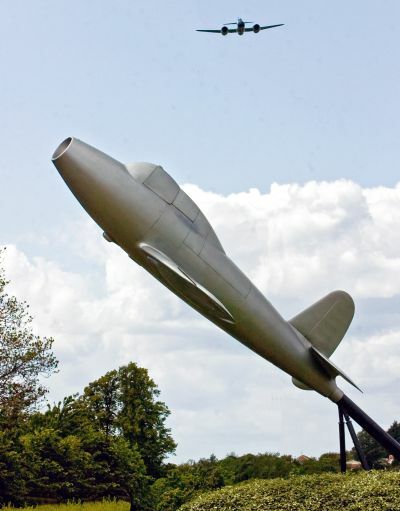 These include Denham (for which special arrangements have been made), Elstree, Fairoaks, North Weald and Stapleford. Qantas has inaugurated a four days per week non-stop service between Sydney (Australia) and Dallas/Fort Worth (USA) (DFW). Flown by a three-class Boeing 747 the flight leaves Sydney at 13:25 local time and arrives 13:50 on the same day. QF7 is in the air for around 15½ hours. On the return leg the aircraft is routed via Brisbane. From Australia Qantas Group currently serves in the USA Honolulu, Los Angeles, New York (Qantas and Jetstar) and now Dallas. 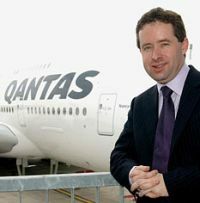 Chief Executive Officer, Mr Alan Joyce, said that the airline was delighted to be providing the first direct connection between the Antipodes and Texas. “This new service takes Qantas customers into the heart of the United States, with a wide range of options for onward travel,” Mr Joyce noted. “Dallas and Fort Worth are attractive destinations in their own right, combining rapid economic growth with Texas’ rich heritage. French crash investigators have successfully extracted data from the 'black boxes' of the Air France jet that crashed in the Atlantic in 2009. 228 people lost their lives. 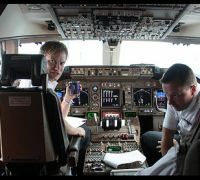 The successful transfer includes all information from the flight data recorder, which monitors aircraft systems, and a loop containing the last two hours of cockpit voice recordings. The whole airline industry is waiting on the results of the investigation. Whilst satisfactory explanations have been put forward, with the rescue of the ‘black boxes’ a firm clarification of what went wrong can probably be established. 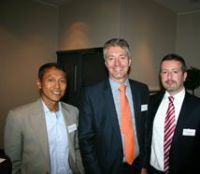 Qatar Airways was the sponsor of the Airline Public Relations Organisation’s APRO supper networking party held at the Hyde Park Corner Continental Hotel. Some 60 journalists, in-house media types and PR consultancies attended. Qatar’s Head of Corporate Communications, Updesh Kapur, well known in the UK from his time at Virgin Atlantic and Travel Weekly, came over especially from Doha for the occasion. 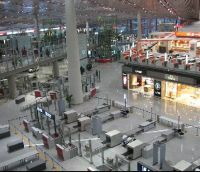 Air China is, for a trial period, to provide complimentary airport lounge services to air travellers arriving at Terminal 3 of Beijing Capital International Airport, starting on 1 June. Passengers will be able to relax, take showers, use the internet, and print and fax documents in the lounge for free by making reservations at Air China’s transfer counter. Complimentary beverages will also be provided. One of the most iconic names from the age of steam is to make a comeback. 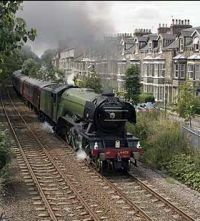 Today (Monday 23 May) East Coast is launching its new prestige express ‘Flying Scotsman’, which will complete the 393-mile journey from Kings Cross London to Waverley Edinburgh in just four hours, calling only at Newcastle. This is at least 50 minutes quicker than the competing West Coast Virgin Trains offering. 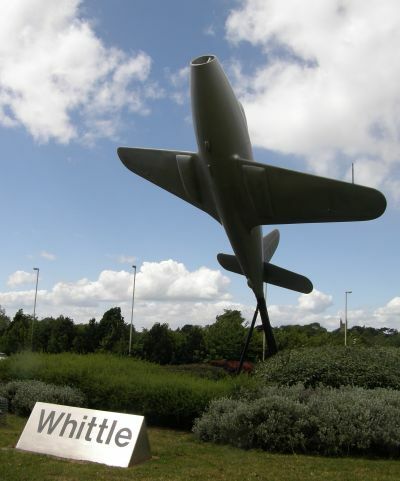 Biggin Hill Airport has come up with the best scheme so far for VIP's travel to the Queen Elizabeth Olympic Park for London 2012. Helicopter in to a temporary licensed heliport, operated by the airport, just by Ebbsfleet railway station in North Kent and take the Javelin train to Strafford International. The rail journey time is 10 minutes. The alternative is to take a chance by road, or use other forms of public transport. Typical journey time from London City Airport by the extended DLR will be 25 minutes. From St Pancras station, the terminus for Javelin (which starts at Dover), the trip is shorter, just seven minutes. Access to St Pancras by road is likely to be congested. 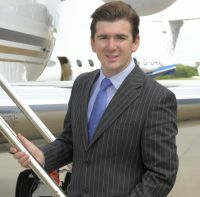 “By using the Ebbsfleet heliport link, business aviation customers arriving at Biggin Hill will be able to access the Olympic Park in the fastest possible time and under the most convenient arrangements,” says Robert Walters, Business Development Manager for the airport. Oman Air, the national carrier of the Sultanate of Oman, has re-commenced its services between Muscat and Zanzibar. Flights will operate non-stop from Muscat to Zanzibar three times a week on Mondays, Tuesdays and Saturdays. 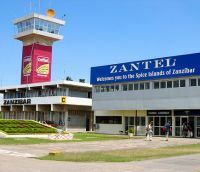 Zanzibar represents the airline’s third destination in Africa and second in Tanzania. Historically Oman has strong links with Zanzibar. The East African island, now part of the Republic of Tanzania, was for 300 years ruled by the Sultan of Oman, and a centre for trade and commerce along the coast. Tourism has long since replaced dhow-building as the town’s major industry, but the essence of Zanzibar’s olden days and its cultural heritage can still be found. With British Airways well on their way to sorting out its cabin staff problems Virgin Atlantic has now become embroiled with union difficulties that could, just like BA, see travellers looking for an alternative carrier. The Virgin problems are with the flight deck crews, and in this case the airline cannot rely on the goodwill of those not drawn into the action to help keep the aeroplanes flying. 85% of all Virgin’s 750 pilots belong to BALPA (British Airline Pilots Association). According to General Secretary Jim McAuslan they have not had an increase since 2008. In spite of industrial action by the RMT union the Heathrow Express will be operating a half-hourly service between Paddington Station and Heathrow Airport T5 via Heathrow Central (T1 and T3) on Friday 27 May and Saturday 28 May between 08:00 and 20:00. Journey times will be 15 minutes from Paddington Station to Heathrow Central with a further 6 minutes to Terminal 5. Between 05:00 and 24:00 a free bus replacement service will be operating between Heathrow Central and Terminal 4 departing every 15 minutes. The Piccadilly Underground provides an alternative service. Members of the RMT union will walk out for 48 hours from 03:40 next Friday, with a further 24-hour stoppage planned for 24 June and others scheduled for July. 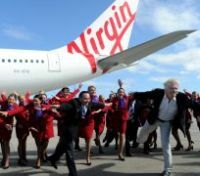 Having secured government approval for their newly founded alliance Air New Zealand and Virgin Atlantic have announced their future joint plans. The routes become effective at the start of what for Europe is the winter season. The alliance will connect Air New Zealand’s domestic network of 26 airports to Virgin Australia’s 31, offering the largest ever Australasian route network for trans-Tasman travellers. New baggage allowance rules are to be brought in by Austrian Airlines. 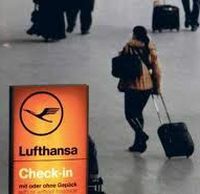 The revised ‘baggage item concept’ has already been in use on flights to the USA and Canada for some time, where it has been proven to be successful. Under this latest scheme passengers can check in a specified number of baggage items free of charge as per their allowance. This number is defined by their flight class. In practical terms they will be able to take more luggage on flights within Europe and long haul routes to Asia and the Middle East. For Economy Class the allowance goes up to 23kls. Business Class passengers will be able to take two items of baggage, even if each weighs up to 32kls or a total weight of up to 64kls. Until now they have been restricted to 30kls. With children under the age of two who do not have their own seat, parents can pack one item of baggage weighing up to 23kls and a foldaway pram in future. The 5-star Montcalm Hotel, just by the Barbican concert hall in heart of the City of London, opens for business today (Monday 23 May). In what is termed a “soft” launch 100 rooms are available. The “Grand Opening” when the balance of the 235 rooms will be complete is likely to be in September. In the meantime all the luxurious amenities expected of a top quality hotel are available, including a butler service for the suites and studios, the executive Club Lounge, meeting and banqueting rooms and The Chiswell Street Dining Rooms. Travelodge, already established at Gatwick in the Crawley area, has acquired the former 4-star Mercure hotel close by the North Terminal. 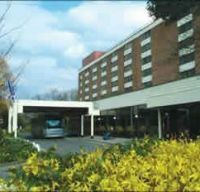 The 257-room property hotel will undergo a significant refurbishment and expansion programme to convert the hotel in line with the Travelodge brand. This investment will include refurbishing the rooms and updating the reception area alongside the conversion of the hotel’s 11 meeting rooms, three restaurants, swimming pool and gymnasium into an additional 146 rooms – increasing the room total to 400. Guy Parsons, Travelodge CEO said: “We have been looking for some time to increase the number of rooms we have at Gatwick, to match our offering at Heathrow airport. With this deal we have tripled our room stock at the airport but there is still a huge potential to grow further at the UK’s second largest airport and we are looking for more new sites." Travelodge currently has 18 hotels, located in all the major UK airports, including Heathrow, Gatwick, London City, Luton, Stansted, Manchester, Leeds Bradford, Edinburgh, Aberdeen, Newcastle and East Midlands. 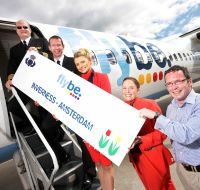 Flybe is to link Inverness and Amsterdam from Monday 5 September with a daily service (six times weekly for the winter schedule). The new route is the direct result of discussions between Highlands and Islands Airports Ltd (HIAL) and Flybe with collaborative support and key funding from Highlands & Islands Enterprise (HIE). Support funding also has also been contributed by the Highland Council, the Highlands and Islands Transport Partnership (HITRANS) and VisitScotland. Manzhouli is not a city that is well known to Europeans. It sits right on the border of where Inner Mongolia, Northern China and Russia come together. It now has a Shangri-La. The city also features the world’s tallest Matryoshka Doll (the famous Russian ‘doll within a doll’) at 30m tall. To reflect the unique cultural mix, the hotel displays tapestries and furnishings of various influences, including Mongolian pattern carpets, Chinese bed runners and Russian motif lamps. 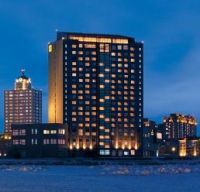 It has 235 rooms, including 24 suites, with sweeping views of the nearby Xiaobei Lake, the city and the expansive grasslands beyond. Michael Bartlett, or Brother Bartlett, as is his official title, has set yet another world travel record. A member of the Oratory of the Good Shepherd, an international community of Anglicans, the 70-year old recently flew both east and west around the world from London with one circuit being inside the other. In the space of eight days he used scheduled services to Australia from London, with a total time in the air of 215hrs 31mins. Until sent out to Zululand as a voluntary worker in 1969, Michael Bartlett was an avid train spotter. Flying from Heathrow to Durban via Lisbon, Windhoek and Johannesburg he stepped off the Viscount at Louis Botha Airport 1 September 1969 with the immortal words, "From now on – never a train – always a plane." Then in the early l980s, when a Mr David Springbett flew around the world using Concorde and set a record, Michael vowed to "get into the Guinness Book of Records". A colleague suggested he would never do it. He did. In 1988 he achieved the most scheduled passenger flights in one day – 18. He was beaten by a young lass in the Channel Islands – 24, which Michael turned round to 42 in 1990. Brother Bartlett holds the record for the fastest circumnavigation of the globe on scheduled flights with a single airline at 59hrs 58mins when he travelled with Air New Zealand from Heathrow to Hong Kong, and then Auckland – Los Angles and back to Heathrow 21-24 November 2006. He holds 21 certificates issued by the Editors of that well known tome, now called "Guinness World Records." Michael's latest adventure was to celebrate his 70th birthday when he flew round the world once in each direction eastwards and then westward taking 8 days, 23hrs 31mins. “I am booked to fly from London to Dubai and then Bandar Seri Begawan (Sultanate of Brunei) and onwards to Brisbane aboard a Boeing 777 of my 250th airline, I will spend 36 hours with the Brethren and then return to London with Royal Brunei. After a night’s sleep near Heathrow Airport it’s off to join Air Canada and fly to Vancouver. A few hours rest and fly on to Sydney (14hrs 30mins flight) where, on arrival, I will hop aboard a Virgin Blue B737 to Brisbane. That means I will have flown westward around the world, Brisbane to Brisbane. He continues with some more notes. 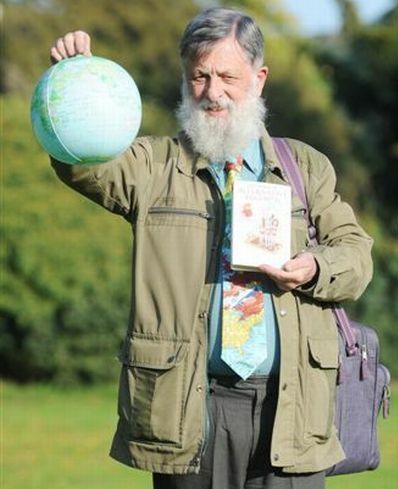 “I arrived home yesterday (Friday) from my ‘Twice Round the World, once in each direction’, and can report all went well. It was interesting. Royal Brunei with their 777s, the service was excellent. The girls were beautiful and for the first time ever, I saw that one attendant's job was to check the loos after each use by a passenger. Excellent. Food beautifully presented, hot and with proper cutlery. Air Canada, no youngsters in the crew but the attendants were in all ways professional, addressing passengers by name as you walked on. Every 30 minutes walking round with water (and anything else you requested). However the difference in the 777s was noticeable. More room on the Canadian ones than the Royal Brunei, though I can't complain because I had the front row aisle seat "C" in all cases but one (window seat K). Royal Brunei was full and Air Canada 60% full on the two return flights. We the passengers are encouraged to read the Safety Card on each flight are we not? I was on Virgin Blue Sydney/Brisbane return. I was in 13C and two young lasses A and B. They took out the card and held a conversation about their safety, very sensible chatter. They looked under the seat for the life vest and around the plane for the life rafts which were described as being "in the roof rack". They (and me) therefore WE could not see them. So when the attendant came round we asked where they might be. His reply? "There are no life rafts on this aeroplane." "Because this plane flies over land and not the sea." Strange that we flew out from Brisbane over the sea and into Sydney Airport over the sea and very low down too! Does not say much for Virgin Blue to have cards on their Boeing 737-700s and 800s showing life rafts and there are not any aboard. I have no objection to security at airports – BUT. I have flown how many times and used a see through bag bought at Lloyds chemist 10 years ago and no one has objected until a silly woman at Terminal 3 Heathrow last Sunday. Said it was not acceptable. She could see my toothpaste and eye ointment and one toothbrush. She made me change it. I told her that I had flown around the world using that for 10 years showing it every time and no one had challenged it before. She replied "Not acceptable at this airport". I could not be bothered to argue – but ridiculous. Dubai is equally silly. One gets off the Royal Brunei plane for the re-fuelling, goes through security and then straight into the lounge awaiting boarding. At Brunei (BWM) one goes into the transit lounge, buys water and not permitted to take it aboard – ridiculous. I was given an excellent tie by my brother with a world map upon it and a picture of aeroplanes. I looked carefully on all 12 flights and I did not see one other Economy Class passenger wearing a tie. Many commented on the fact that I was wearing one and admired it. A wonderful experience. Most of the time.